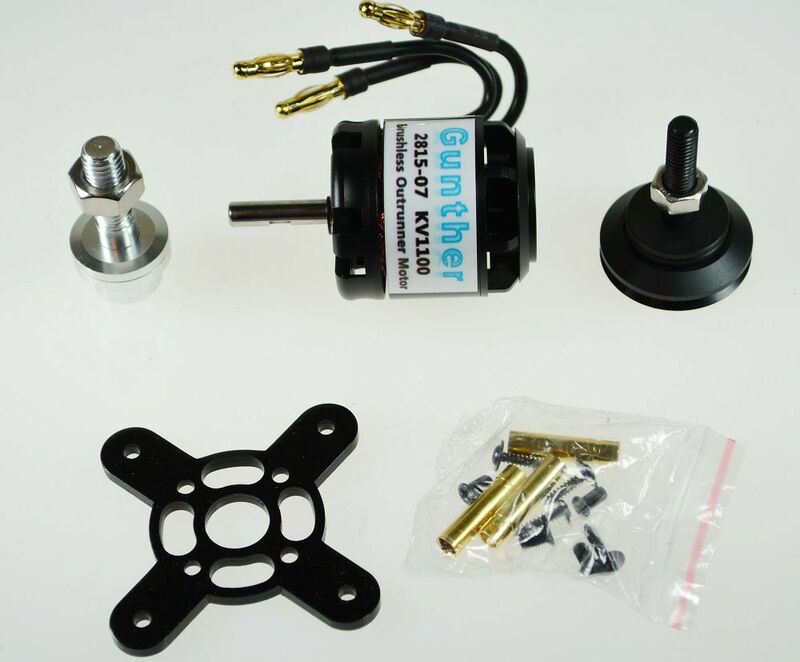 New Gunther 2815/7 improved cooling and bolt on prop adapter 35x45, 107g, 5mm shaft, 450 watt, 1100 KUV, 7.4v-12.6v voltage range, 11x5 ? 13X6.5. Flying Weight 4 pounds. Prop Adapter for Spinner PN82 8mm x 1.25 for Compression Adapter Prop Adapter for Spinner PN60 for Bolt on Prop adapter. This motor replaces the 23771 Gunther motor.